Bakeries: For the average daily use of flour, for each barrel, the sum of $3 per annum; provided that in no case shall any bakery be charged less than $6. Later, meters came into use. If we go back 100 years from today, the 1911 Annual Report of the Metropolitan Water and Sewerage Board makes note of progress in this regard, a result of the passage of the Meter Act in 1907. During the past year 14,099 water services, new and old, in the District were equipped with meters. ...The cities of Medford and Melrose and the towns of Watertown, Milton, Winthrop, Belmont and Swampscott have now meters upon all their services, and the cities of Malden and Chelsea have metered about 94 per cent. of all services. The city of Boston installed an increased number of meters during the past year, but its percentage of the number of its services metered (27.33) is still the lowest in the list. But as in health care, pricing isn't the complete answer to obtaining efficiency. If the underlying infrastructure is not properly maintained, waste occurs. It is, however, apparent more than ever that there is a great waste of water in the Metropolitan district which the increasing use of meters does not prevent. ...There is a constant leakage of water due to defective local pipes and bad house plumbing and to incessant flow from the faucets, by which water is wasted to the extent probably of one-third of the entire supply afforded. The situation demands more careful supervision on the part of the responsible authorities of the various cities and towns and the adoption of rigorous measures of prevention. As noted by the MWSB, a more prudent use of water was "in the interest of economy for the District [by] delaying the time when additional sources of supply must be sought and new and extensive works be constructed, but also in behalf of the remote communities of the Commonwealth whose properties and rights will have to be yielded up for the benefit of the metropolitan District." By the last clause, they meant that new reservoirs would be constructed by damning rivers and flooding communities west of Boston. When I arrived to run the MA Water Resources Authority in 1987, a similar situation existed in the regional water system. Demand for water from the very large Quabbin Reservoir that had been built in central Massachusetts exceeded the safe yield of that 412 billion gallon lake. Many policy-makers in Boston were convinced that the supply had to be expanded -- by tapping the Connecticut River. This was an idea that found little favor in central and western Massachusetts and downstream in Connecticut. 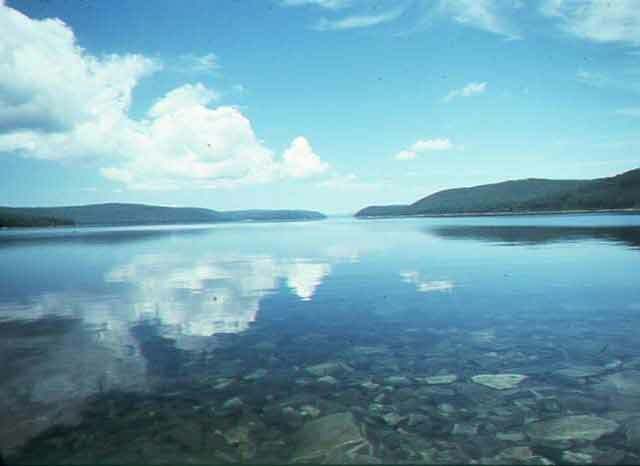 Previously, Connecticut had gone all the way to the US Supreme Court to stop the construction of the Quabbin Reservoir, which tapped two of the river's tributaries. They lost that battle, but they were gearing up for the next. I was confident that this was an unnecessary fight, that there was plenty of water in the Quabbin system for decades to come, if we just made better use of the resource. About 25 million gallons a day of water was estimated to be leaking from the 6,700 miles of pipes owned by the 46 cities and towns in the district, and another 4 mgd from the MWRA's 270 miles of aqueducts. Over the next few years, we conducted an intensive leak detection and repair program in conjunction with the municipalities, plus running a series of water conservation programs. In all, we were able to decrease water consumption by 15 percent over a three-year period. This pattern has stayed in place, and there is no longer any talk about diverting river water. * Quaint, eh? Until you realize that in New York City, rates were based on the frontage of your building (regardless of the building's height) -- until 2009! So you're saying that for 24 years a program of fixing leaks and conservation has prevented the need for new water sources despite all the intervening growth? Yup, but we don't try to grow rice, like they do in CA . . .